Known as Medicare Advantage, Medicare Part C is offered through private insurance companies approved by Medicare. To be eligible for Medicare Part C, you must already be enrolled in Medicare Part A and Part B, and reside within the service area of the Medicare Advantage plan you want. If you decide to sign up for Medicare Advantage, you cannot sign up for a Medigap Plan at the same time, and the opposite is also true. Before considering enrollment in a Part C plan get more information about Medicare Advantage (Part C) by contacting a licensed insurance agent/broker such as Medicareinc.com. The Medicare Advantage (called Part C) Initial Enrollment Period (the seven-month period that starts 3 months before the month you turn 65, including the month you turn 65, and ends 3 months after the month you turn 65) is the same as the Initial Enrollment Period for Medicare Part A and Part B. You may also enroll during the Annual Election Period (AEP) from October 15 to December 7 for coverage effective January 1 the following year. Under special conditions you can also enroll during a Special Election Period (SEP). You must have Medicare Part A and Part B to get Part C, which is optional, and you must continue paying your Part B premiums if you enroll in a Medicare Part C plan. Monthly rates and plan coverage for Medicare Advantage vary by the insurance company and specific plan details. Medicare Advantage plans typically cover more than Original Medicare (Part A and Part B), and like a Medigap plan they may come with a monthly premium. Some Medicare Advantage plans don’t offer drug coverage. Medicare generally does not allow those enrolled in a Medicare Advantage Plan to also be enrolled in a stand-alone Medicare Prescription Drug Plan. This is why many Medicare Advantage Plans include prescription drug coverage. If you’re in a Medicare Advantage Plan that includes drug coverage and you join a stand-alone Medicare Prescription Drug Plan, you’ll be disenrolled from your Medicare Advantage Plan and returned to Original Medicare. Most Medicare Advantage Plans cover all Medicare related services. Medicare Advantage Plans may also offer extra coverage, such as routine vision, dental, or prescription drug coverage through participating doctors, dentists, and hospitals in the plan, not necessarily your preferred doctors, dentists, or facilities. Medicare services are covered through the Medicare Advantage Plan and aren’t paid for under Original Medicare. But you are still required to pay your Part B premiums. Medicare Advantage plans may require you to pay monthly premiums, annual deductibles, co-payments, and co-insurance and may charge different out-of-pocket costs (maximum $6,700 anually) with different rules for how you get services (like whether you need a referral to see a specialist or if you have to only go to doctors, facilities, or suppliers that belong to the plan for non-emergency or non-urgent care decided on a doctor within their plan; usually you are not allowed to receive care outside your network except in a hospital emergency). These rules can change each year. Doctors, hospitals, and specialists frequently leave networks such as HMOs, PPOs, and others, so continuity and familiarity can be an obstacle to your care. Most Medicare Advantage plans don’t offer coverage outside the USA. 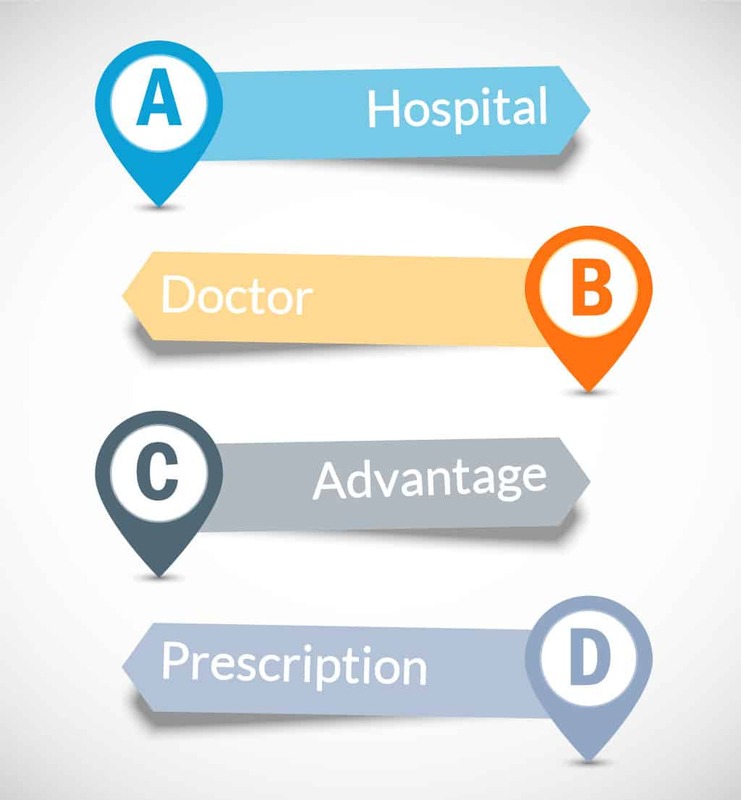 Purchasing a Medigap plan adds to the value of the Original Medicare plans without replacing Parts A and B. A stand-alone Prescription Drug Plan with a Medigap plan could offer you more coverage and may cost less. The only way to know for sure is to compare prices and coverage. Medicareinc.com uses advanced technology that their licensed agents use to pinpoint specific plans and costs to expedite and streamline the process.